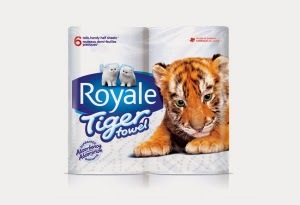 ROYALE just recently introduced their new line of paper towels, Tiger Towels. Not only did they introduce this new line of paper towels, but they also partnered with PANTHERA, the world's leading wild cat conservation organization. 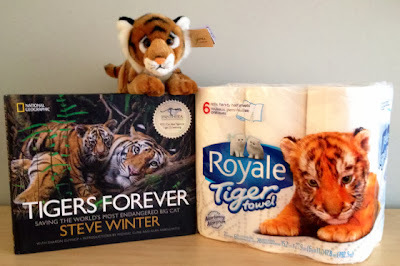 With the new launch of the Tiger Towels, my family and I were given an opportunity to test out these paper towels to see how durable they would be in our household. Let me just say that I am now a fan. Having two kiddos in the house can definitely get a bit messy. With breakfast, lunch, dinner and even snacks in between, I've been known to clean up a few messes around the house. The Tiger Towels have no dye or fragrance on them, which is nice. In case I need to wipe a mess that's on one of my little ones face, I don't have to worry about a bad reaction happening. The paper towels also come in both a 6 pack and 12 pack. We received a 6 pack that definitely got us through the holidays. I love that these paper towels are super durable and that they give me an option to have half a sheet or a full sheet depending on how little or how big the mess I'm cleaning is. They definitely are my new best friend when it comes to cleaning around here. They are super thick and I'm very comfortable using these paper towels when cleaning around the house without thinking that I'm going to have to use half the roll. I love that ROYALE has teamed up with PANTHERA. As a partner, ROYALE will donate $40,000 to the fund as well as provide ongoing support to raise awareness and increase fundraising efforts throughout 2014. With the celebration of this new partnership and to introduce you to these Tiger Towels from ROYALE, we are hosting a giveaway that's retailed at around $70 for one lucky Canadian reader!